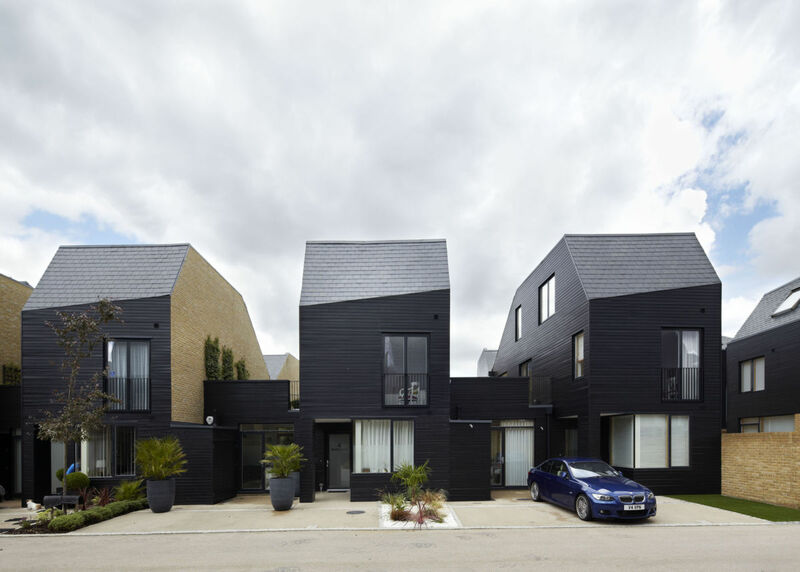 When I searched some information for our housing project, I am inspired by this scheme, Newhall housing project, which also a housing design award scheme in U.K. It is also a suburban housing scheme that located on the eastern edge of the town of Harlow. The area of the site is 1.62 ha. 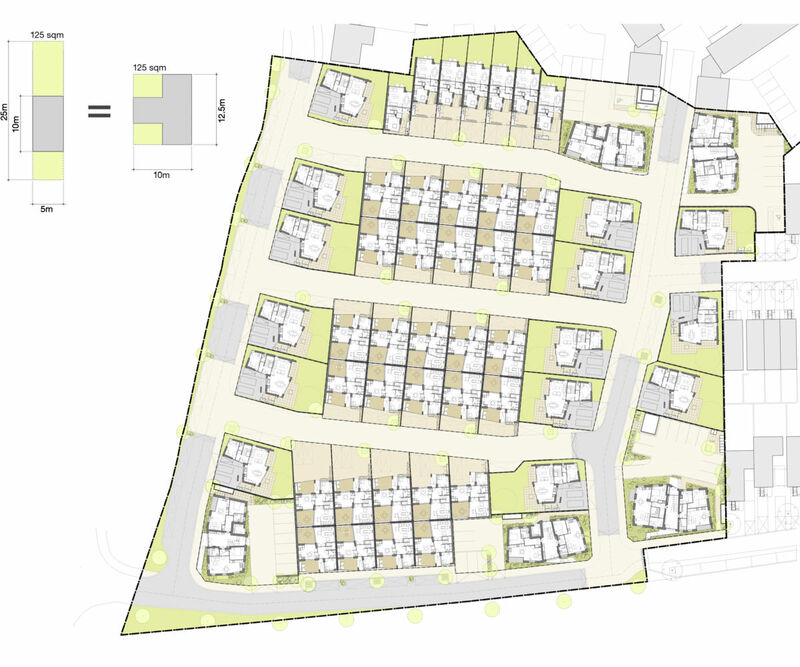 There are 84 dwellings, so the density of the site is 52 dwelling per hectare. 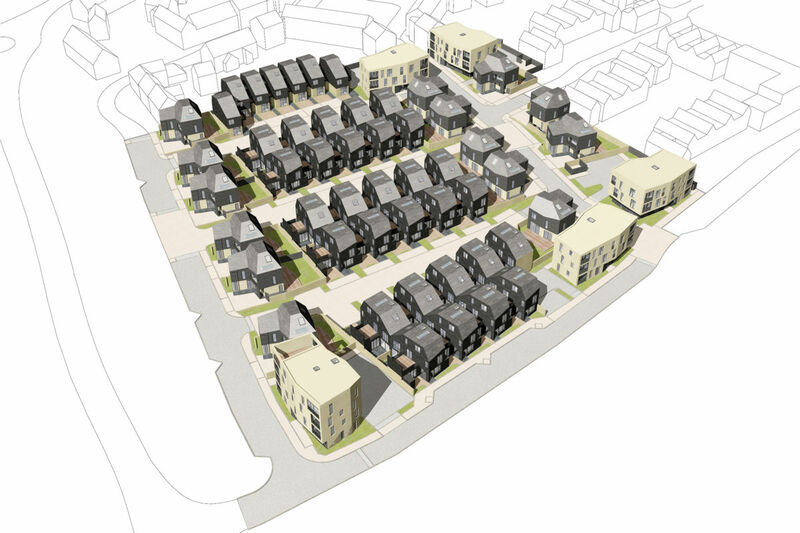 First, the layout of the dwelling in this scheme is very different from traditional housing project. The terrace houses are stand together two by two. The shape of the house is “L” shape that trying to create a space for parking in front of the house and the window here are window bays which can obtain more sunshine for residents. This roof space on the “L” shape corner also provides a balcony for residents so that they can enjoy enough private open space in their houses. Not only respond to the function for the house, but also have aesthetic and social benefit from those spaces. Secondly, the organization of the houses provide such semi-public space for people. Those spaces are in front of their houses between the streets. In the respond come from the residents, they said they will hold some parties in the street during summer. So the street spaces create a community sense for residents which make the life live in here more social. The designer use brick for building which meet the local character and also some another material from local area. On the other hand, this scheme is mix tenure that about 27% are used for social housing. I really love the idea that use such “L” shape house and “T” shape layout together to create semi-public space. In this scheme, the street are pedestrian friendly and also it slow down the traffic speed. At the same time, they use a building plot “9m x 10m” that reflect to the density requirement. When looking at this case, I think it is amazing that change to such simple building plots and then everyone can get a good living space in their house and in the neighborhood. And housing design need to meet the need of residents, not just simple shape the buildings in the neighborhood. Alison Brooks Architects. (2015). Newhall Be. [online] Available at: http://www.alisonbrooksarchitects.com/project/newhall/ [Accessed 2 Jun. 2016]. ArchDaily. (2013). 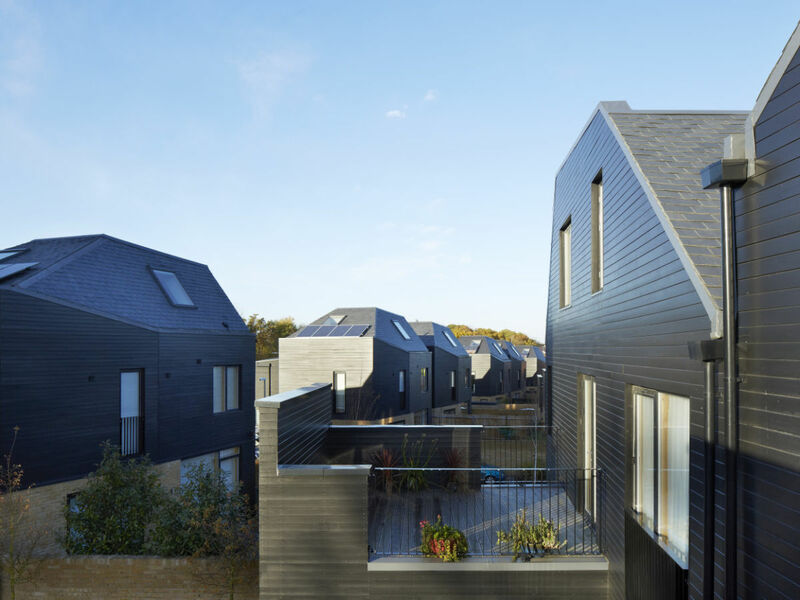 Newhall South Chase / Alison Brooks Architects. [online] Available at: http://www.archdaily.com/412945/newhall-south-chase-alison-brooks-architects [Accessed 2 Jun. 2016].